OK These are perhaps the most delicious and EASY cookies I have ever made. 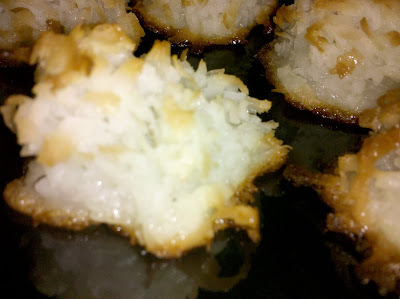 Ken and Emily LOVE Coconut Macaroons, I usually get them from Sprouts as a special treat, NOT ANY MORE! Drop by spoonfuls onto well greased baking sheet, they will look messy but, believe me they come out great.